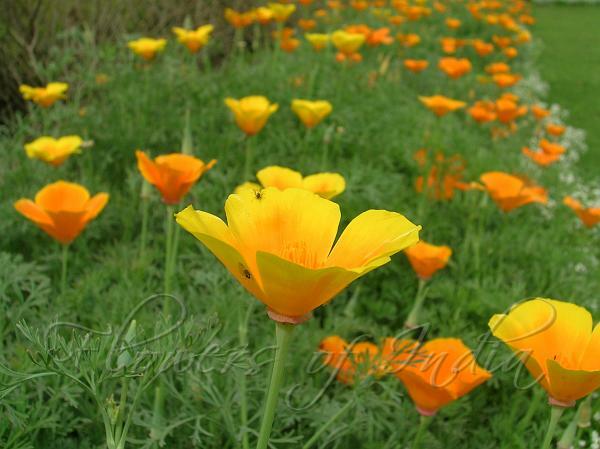 California poppy is the most widespread species, extending from the Columbia River Valley in southwestern Washington south into the Baja peninsula and sporadically on to the Cape Region, west to the Pacific Ocean, and east to western Texas. 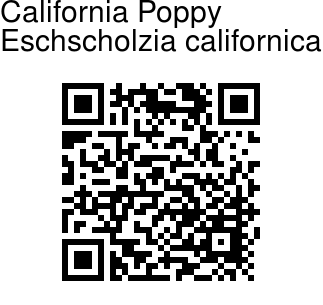 This poppy is the state flower of California. The species is highly variable, including long-lived prostrate perennials along the coast, erect perennials of inland valleys, and annuals in the interior. Eschscholzia californica is distinctive for its expanded rim of the receptacle below the petals. In addition, ssp. californica has bifid linear cotyledons (they are entire in ssp. mexicana and in the other species of the genus), and many of its populations are perennial. Flower color ranges from a uniform orange to various orange spots and shadings at the base of deep yellow or golden petals. In both subspecies, occasional individuals have white, cream, pink, or red flowers, or combinations of these. These natural color variants are the raw material of many of the cultivars.